R4 was playing around with his video games and I wanted to play with my shiny new Noodler’s Flex pen, so we made a deal. 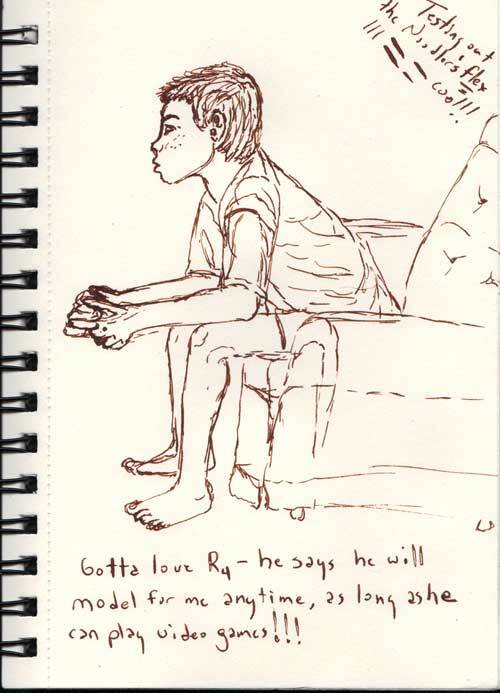 He says I can sketch him anytime for as long as I like as long as he gets to play video games, LOL!!! Not a bad deal for him, since we’ve been cracking down on how much time he spends gaming. That sounds just like my grandson! Anything to get to play more games! Nice sketch and what a great way to get to practice people.